We are pleased to welcome you to Central Vision Care, the offices of Stuart Rappaport and Mark Rosenhaft. We have been providing quality eye care to the community since 1988. At Central Vision Care, Dr. Rappaport will provide you with a thorough and comprehensive eye exam. His state of the art eye examination includes the use of the Optos retinal map which allows a full digital image of the retina without the inconvenience of dilating drops. He is also an expert in the fitting of contact lenses including disposable lenses, bifocal lenses and lenses that correct astigmatism. Featuring lenses by Johnson & Johnson Acuvue, Bausch & Lomb, Ciba and many others. 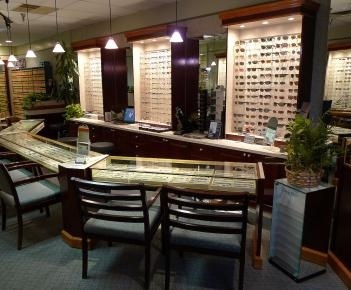 Co-owner Mark Rosenhaft has been a licensed optician for more than 25 years. Specializing in difficult prescriptions, he will provide the latest technology combined with the newest fashion frames including Dior, Prada, Coach, Lindberg, Armani, Dolce & Gabbana and many others custom made for you in our own labs. We feature the digital free form progressive lenses from Varilux, Seiko and Shamir. Enhance your lenses with treatments such as Transitions and Scotchgard anti reflective coatings. Children are special at Central Vision Care. Our experienced staff will select the best fit and style from a large selection of children's fashion frames. For the active youngster, we carry a full line of sport and safety frames featuring Liberty Rec Specs. We offer personal service second to none. We look forward to the opportunity of serving your family's optometric needs.